The OEL8000II-W is a comprehensive tank overfill protection and inventory management controller that can simultaneously monitor up to 99 FillCheck level alarm sensors or Datastik inventory monitoring probes. These intrinsically safe, battery powered magnetostrictive probes provide highly accurate product level, interface (water) level, and up to five temperature measurements distributed vertically within the vessel. Multiple level alarms can be specified and annunciated for each tank being monitored. All information is displayed along with alarm conditions on the OEL8000II-W 4-line by 40-character backlit LCD display. The OEL8000II-W also accepts up to 44 of OMNTEC’s Bright Eye leak detection sensors (wired). A distinct advantage of the intrinsically safe Bright Eye sensors is that they are networked and utilize 4-wire RS-485 multidrop bus interface. Other types of sensors (such as temperature and pressure) can also be connected to the buss using the patented BX Universal Translator. A built-in microprocessor gives each sensor the ability to identify itself and its location. A thermal printer is also provided which can be programmed to record alarms, tank conditions, test status, and other system-critical parameters for permanent record-keeping. 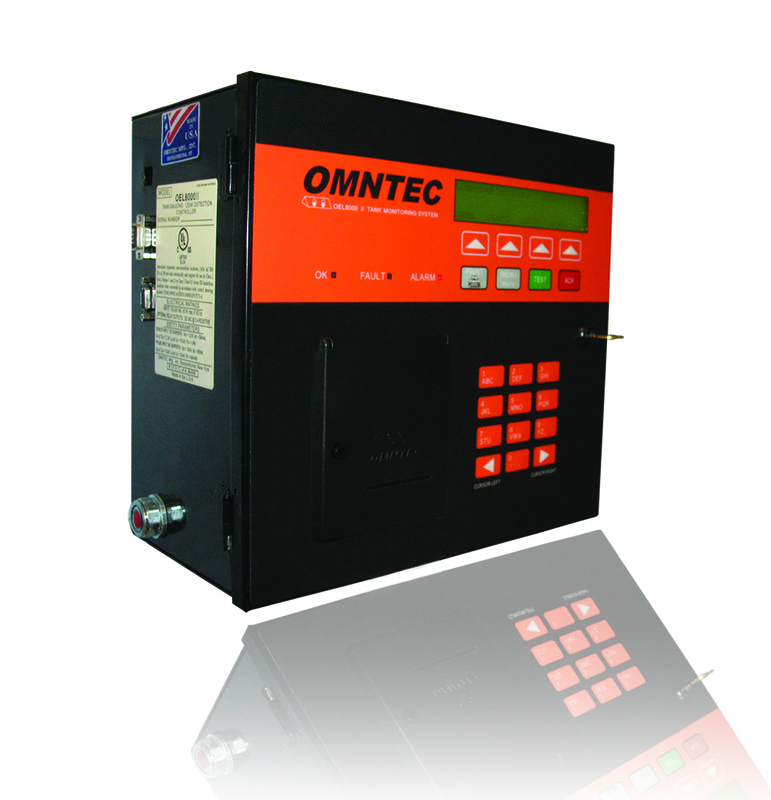 With OMNTEC’s proven reliability, the OEL8000II-W offers a comprehensive and user-friendly system.